President Trump nominated Lt. Gen. VeraLinn Jamieson; deputy chief of staff for intelligence, surveillance and reconnaissance with the U.S. Air Force; for an ISR leadership role that includes a cyber component. The nomination is for Jamieson's assignment as USAF deputy chief of staff for ISR and cyber effects operations, the Department of Defense said Friday. 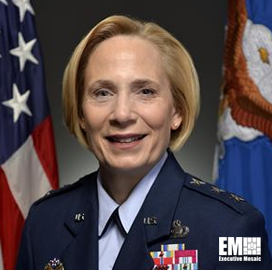 In her current role, she helps USAF's secretary and chief of staff oversee and develop the service's ISR assets. Jamieson supports a $55B enterprise-wide portfolio in coordination with the undersecretary of defense for intelligence and the director of national intelligence.